You absolutely can have knock out lips without looking over done. Getting natural looking lips takes more than just injecting filler in the spots you think need help. It take an artist to know exactly how much to put in where to make you look just the right amount of plump. Keetha Hanlin's award winnging technique is just that, art. Find out for yourself why our clients come from so far to see only her for their lips. 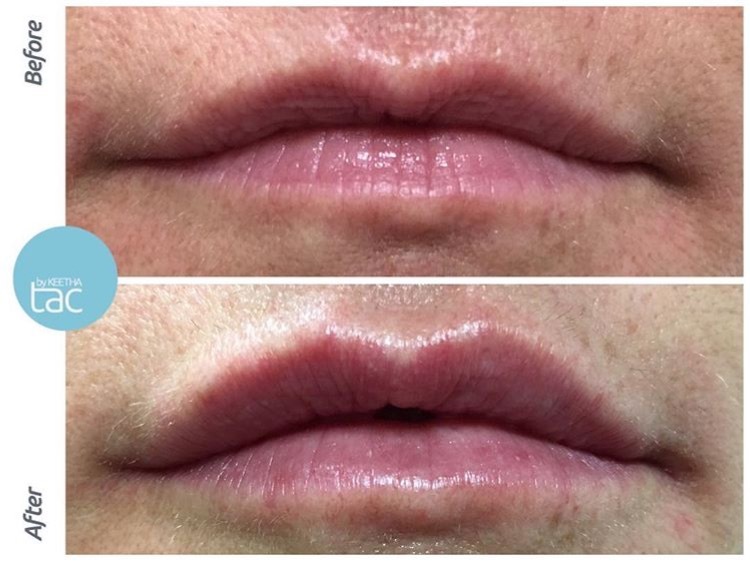 Patient right after lip filler injection with Restylane for lower lip and philtrum columns. She had been somewhere else previously that had over injected her top lip. Keetha dissolved her top lip filler to make it more even (hence swelling of left side of lip. Patient right after lip filler injection with .4cc of Restylane Refyne for upper lip and philtrum columns. You can absolutely achieve a natural slight lip plump!